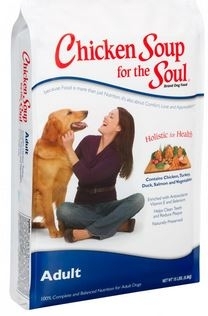 Diamond Chicken Soup Senior Dog 35 Lb. Diamond Chicken Soup Puppy 35 Lb. Formulated specifically for a growing puppy, this diet contains DHA (Docosahexaenoic acid) for proper eye and brain development, and is the nutritional base for a happy, healthy and vibrant dog.